Type:BeadMaterial:StoneWeight:280 CaratColor:BlueLength:16 , 15 inchStone:SapphireShape:OvalStyle:Ov.. 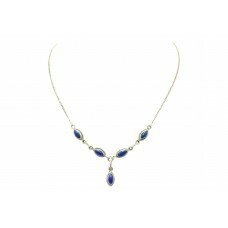 Brand:HandmadeGross Weight of Necklace Set:23.15 gramsStyle:ChainLength (inches):15.2 inch necklaceM.. 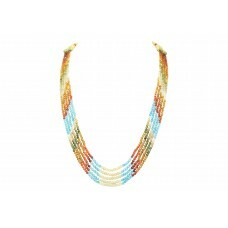 Brand:HandmadeGross Weight of Necklace Set:21.00 gramsStyle:ChainLength (inches):15.5 inch necklaceM.. Brand:HandmadeGross Weight of Necklace Set:23.6 gramsStyle:ChainLength (inches):15.5 inch necklaceMe.. Brand:HandmadeGross Weight of Necklace Set:15.7 gramsStyle:ChainLength (inches):13.3 inch necklaceMe.. Brand:HandmadeGross Weight of Necklace Set:16.97 gramsStyle:ChainLength (inches):14.6 inch necklaceM..
Metal Purity:925 parts per 1000Style:Strand/StringMain Stone:MoonstoneLength (inches):16 InchesMain ..
Main Stone Color:GrayMetal:Sterling SilverGross Weight of Necklace Set:30.5 gramsBrand:HandmadeStyle..
Main Stone Color:OrangeMetal:Sterling SilverGross Weight of Necklace Set:32.3 gramsBrand:HandmadeSty..
Main Stone Color:RedMetal:Sterling SilverGross Weight of Necklace Set:32.8 gramsBrand:HandmadeStyle:.. Brand:Rajasthan GemsGross Weight of Necklace Set:12.8 gramsStyle:ChainLength.. 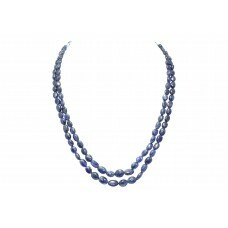 Brand:HandmadeGross Weight of Necklace Set:17.3 gramsStyle:ChainLength (inches):19.3 inch necklaceMe..